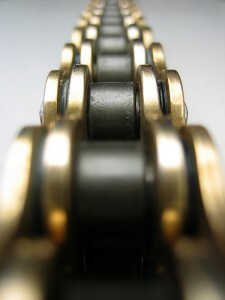 Linking out is a great blogging strategy. Back when I started my first blog then known as DayneShuda.com there was an early blogging strategy I used that worked very well. This strategy worked to grow interest in the new blog and eventually brought in some good traffic over time and even more than that it led to some great relationships. It’s not revolutionary and many bloggers use it. The strategy is something we’ll call the linking out strategy. My knowledge of the strategy is a direct credit to Adam Singer of The Future Buzz (Adam now works at Google). Back when I first started blogging I would read The Future Buzz every day. Adam doesn’t write quite as much for this particular blog anymore, but there is so much great information and perspective in the archives that I still visit. Also, the blog does have fresh articles that Adam publishes and it’s always good to get his perspective on all things involved with Internet Marketing and Analytics. Anyway, Adam was always big on lists. People like reading lists in all forms, but what is great about lists is that it requires the writer to link out to other bloggers or to link out to other sites, people, etc. When you create a list you are creating something that will send traffic and give attention to other people. On the Internet this art of linking out can also get the attention of the people you’re linking to and that is where the magic can happen. Say you’re a new blogger. The big question is – How do we get traffic? There are a few answers including search and social referrals. These are the big ones and there are others. Another way is to link out to others with list posts or by simply including links within your regular posts. What happens is that the people you link to will notice a little traffic from your site to theirs. They might also get a pingback notification letting them know that someone has linked to their blog. Also, many people have alerts setup that lets them know anytime they are mentioned on the Internet. When you write about someone they usually have a way of knowing. What has happened with my blogs over the years is the people you link to will share your posts in their social channels like Facebook and Twitter. They’ll visit your site and on occasion they’ll comment. Sometimes the person will write about you and your site. In the best case you’ll have an introduction to someone and it could just turn into a friendship. Linking out has been one of the great strategies of my blogging career and it’s something we’re going to focus on once again at GBW. We want our clients to have the same fulfilling relationships with people that lead to blogging and business success. Do you link out in your blog posts?